Are you going to run your own online store? Your next step could be to check Templates-Master Magento themes. 37 templates are perfect for all sizes of your eCommerce store. 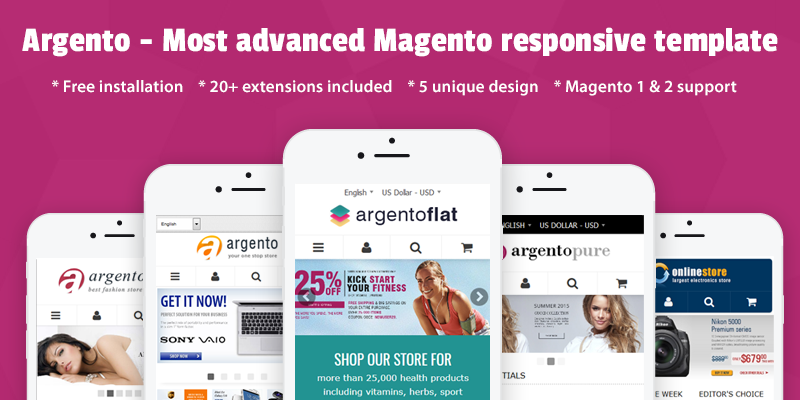 Some of these themes are available in 3-4 colors.Templates-Master themes are compatible with the last Magento releases. Please try our universal themes and your store will get a modern catching look. Give your store professional and unique look ! Template has got improved SEO compatibility and flexible user interface. Based on 1 column home page layout with image slider on the main page. Perfect template for modern look of your store. 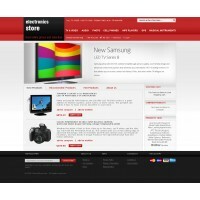 Use of improved listing toolbar with products on category listing page. It's based on 1 column home page layout with image slider and products slider on the main page. Neo theme for any store. Is based on 1 column home page layout with flash image slider on welcome page. Professional template for any kind of store that must have corporate look. 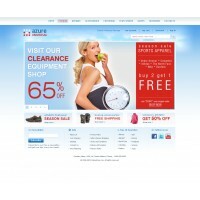 Based on 3 column home page layout with image slider and new products slider on the welcome page. Available in 3 styles. Choose your one to give your store modern urban look. The template is based on 1 column home page layout with image slider and new products slider on welcome page. Have a fun with joyful tempate for your store! Improved by using professional looking image sliders! Striking and modern design. The template is based on 2 column homepage layout with new ,recommended and hot products' blocks on welcome page. Perfect theme for any store. Based on 2 column homepage layout with image slider. It’s fully complete template with clear structure. Refresh your store with eye-catching design! The template is based on 2 column home page layout with image slider,new and bestsellers products on welcome page. Amazing elegant design. The template is based on 2 column home page layout with image slider, and new, special and bestsellers products on welcome page. Let your customer enjoy of modern look of your store ! Complete theme for modern look of your store. Comes in 4 colors. 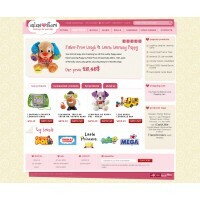 Based on 2 column home page layout with image slider, and new, special and bestsellers products on welcome page. Clean template for any kind of the store. It's based on 1 column homepage layout with image slider. 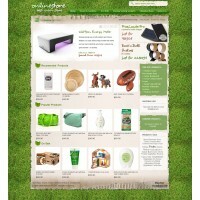 New, Featured and On Sale products are displayed on the welcome page. Let your store get trendy and glamour design.Theme is based on 2 column home page layout with image slider and products tabs on welcome page.